Most (maybe all) of the stores in the Harry Potter world in Universal Orlando mix basic souvenir wares with items that are there just for decoration and to create the atmosphere. Borgin and Burkes, a store dedicated to evil and the dark arts in the books leans more towards atmosphere than most. 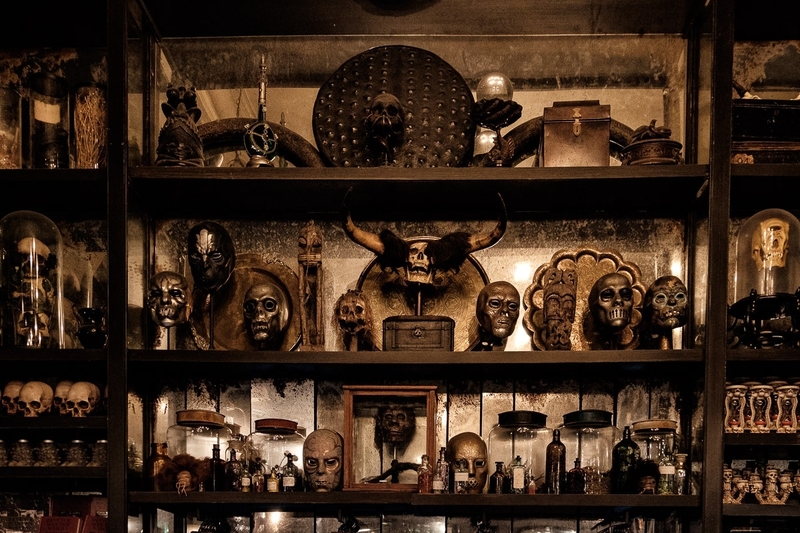 This is the back wall, above the back counter and service area, showcasing nothing but items that one might find in a real dark arts store, but not available for muggles to purchase with US dollars.